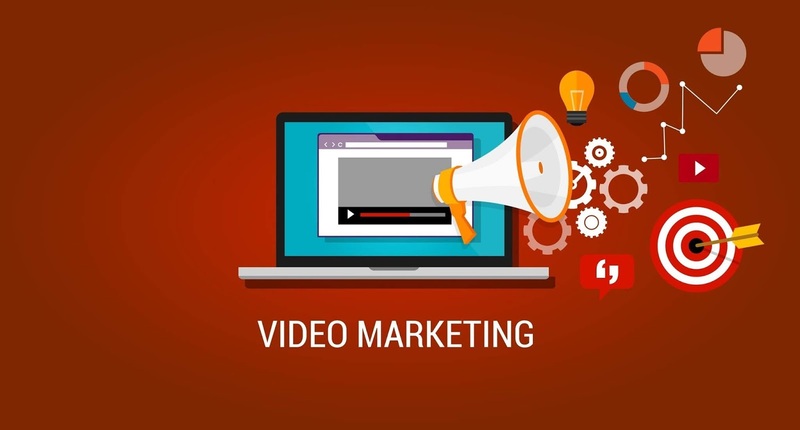 Video Marketing Ideas: You should base your strategy around these proven nine marketing ideas that will work well for a video production company. The marketing strategy that you use for your business, regardless of type or size, is a vital part of determining your success. It can also be a little bit frustrating, as you are likely a professional in your field and not in marketing. For a video production company, you would probably instead be filming or editing rather than creating marketing strategies for your business, but that fantastic product you produce is near pointless if no one knows about it. While being a marketing expert is handy, it is not essential especially if you base your strategy around these nine marketing ideas that will work well for a video production company. Video content is rising in popularity due to its effectiveness online, especially via social media. The problem? People do not have the resources or skills to create quality video content. This is where you come in, and you make it clear via your output that you can be the solution for potential customers’ needs. This means your marketing content needs to focus on whatever those needs might be, and not on your business. Maybe you are able to produce great one-minute videos for their Instagram accounts or can create small documentaries about their products for their blog? Decide who your customers are and what they need, then show them that you offer it. Once you know which people are interested in a service like yours you can tailor the information on your website and social media to directly address their common questions or concerns. This helps you become a trusted source of information in the field, leading to an easier sell. If you specialize in wedding videography, it would make sense to team up with someone else in the industry who offers a related, but slightly different service, like a musician or photographer. Not only does this broaden your reach, but it also makes your package a more attractive prospect to potential clients. This is a value-add to both your and their business as well. You could offer a discount on combined services in turn building your portfolio while splitting the costs and doubling your marketing budget. As we mentioned earlier, video content is increasing in popularity, and along with this is an increase in video variations. Take, for example, live streaming, something that is now available via a range of platforms, is increasingly effective, and everyone wants to be able to do it. The key here is they require professionally made live streaming content. Companies are willing to invest money in technological video advancements like this and virtual reality (VR), so you, as a video production company, can be well positioned to benefit from the boom in the video industry. By catering to this need, you make yourself more marketable while setting your business apart from the competition. There are no two ways about it; your business is based around visuals, so your visuals better be nothing short of amazing. No one visits a hairdresser who has a bad haircut. In the world of video production, a great portfolio is vital as it is the first thing people will ask to see. They want to know what you are offering will look like. This is much easier if you are established, but if you are just starting out, you may not have a large pool of work to choose from. If this is the case, start offering some pro bono work to businesses within the industries you want to target, they get free content, you get subject matter and videos for your portfolio, everyone wins. Keep in mind that a portfolio should not be a compendium of all the work you’ve ever completed. It’s not a resume; it's a collection of your best work relevant to what you’re trying to accomplish, which in this case, is the acquisition of new business. So which of your projects will be best suited to achieving that? Your portfolio is your best sales tool, make sure it is nothing short of amazing. A very effective marketing strategy for any business, but particularly video production, is to fill a niche. There will always be gaps in a marketplace; if you can find and fill them, you are virtually eliminating your competition. This is particularly pertinent if you are a new business. There is nothing harder than trying to compete with established and reputable companies in an overcrowded field (often the popular ones, everyone wants to shoot music videos). You may have to deviate from the things you want to shoot and produce to pay the bills, the good news is, and as we have mentioned a few times now - everyone wants video content. That means there is a lot of industries venturing into the video fields who have not been there before, and likely have no idea what they are doing. Discover the needs of the marketplace, and it will be much easier to sell your services and build your expertise. Video production is one industry where positive word of mouth can yield a substantial amount of business. The flipside of this being that poor quality work can destroy you, and everyone's a critic. When it comes to video, it's pretty easy for people who know nothing about production to identify if something is good or bad. This is why you need to focus on one client at a time and not spread yourself too thin to the point where the quality dips. Nail the work, ask for a review and let the positive word-of-mouth do its thing. (This also helps with your portfolio). A side-note to this is valuing your work and charging a fair price, don't attempt to undercut the competition or spend so much time on a project that you end up working for crumbs! As you may have noticed, we really think it's a good idea for you to understand what markets are available to you. 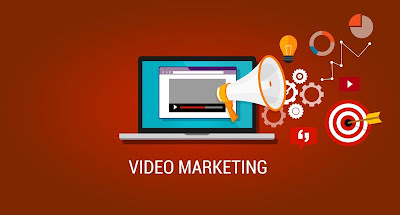 Market research, respectively video keyword research is an essential part of all marketing strategies; you want to know who your competitors are, what trends are in the industry and what solutions you can provide. Understanding the strengths and weaknesses of your industry and competitors helps your business to improve, along with your marketing strategy. For new companies, this is a great way to establish yourself quickly and set yourself apart from the competition. As we mentioned before, this doesn't mean undercutting; this is one industry where people are skeptical about low prices as they feel it directly relates to quality (as it often does). Sub-standard production is not an option and since you are likely creating marketing materials for other businesses (oh the irony) they probably won't want to cut corners for low quality. The best way to get new business is by showing off how amazing you are, and what better way to do that with consistent, quality social media output. It's almost an ad within an ad because you are showing other companies how great their social media can also look (if yours does). Don't, however, limit showing your output to social media; you need a fantastic website and a channel on a streaming service like YouTube. Not only is this a great way to show the quality of your work, but you can teach the general public about your business, how you specialize in specific categories, awards you may have won, etc. Networking, both online and in reality, is not an outdated strategy. It is in fact incredibly effective, especially in video production. Face-to-face time with potential clients works, and you will build great connections with people at social networking events where they are more relaxed, drink in hand. There are loads of networking events held in various industries, find and attend them. Don't think that because you are in video production, you can't go to a real estate event. This is how you crack into the niche markets we mentioned earlier. When you are in a situation like that, you get to explain the value of video to a captive audience. There is also a follow-up element to networking in the form of referrals and testimonials to build your portfolio. Industries are often built on who you know and who can vouch for you. Client referrals show that you’ve established a great collaborative relationship with someone who is happy with your work. Other people will take notice of this, why do you think reviews are so effective online, people trust their peers and listen for their experiences before making a purchase. These things then feed back into the marketing on your website or social media page, all which will hopefully generate more sales! 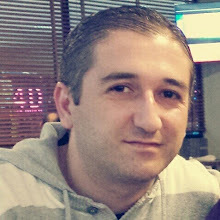 James Silverwood runs a digital marketing agency. In an effort to expand the agency even further he recently relocated to Riyadh and merged with another agency to provide best digital marketing services in the middle east.